Cuomo, in a conference call, reacted to the violence that erupted Friday near the Metropolitan Republican Club after a speech by the founder of the right wing group Proud Boys. Gov. Andrew M. Cuomo on Sunday said he held President Donald Trump and his campaign trail rhetoric responsible for violent clashes that erupted Friday near the Metropolitan Republican Club on the Upper East Side after a speech there by the founder of a right-wing hate group. Police on Saturday said they were reviewing video footage to see if additional arrests were warranted. Cuomo said during a Sunday conference call with news media representatives that he would ask the FBI to investigate because Proud Boys was a "national organization with repeated acts of violence" across the country. 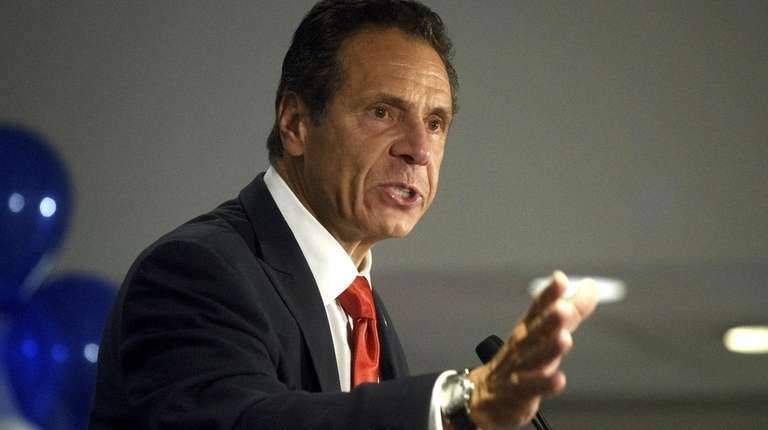 Cuomo also said the New York State Police would assist in the NYPD's investigation. “Bottom line is, I hold the president responsible," Cuomo said. "This was clearly a political tactic. Why would the Republican Party, at their main club, invite the Proud Boys, who are known to be a hate group, who are known to promote violence?" Cuomo noted that the attacks coincided with Trump's recent remarks publicly and at campaign rallies, including the comparison of Democrats to an angry mob, and a discussion about the Civil War that included praise of General Robert E. Lee, who led the Confederate Army. "They're desperate," Cuomo said of Republicans. "They're coming into the midterms, they're afraid they are going to lose, so they're going to the playbook — create chaos, spread fear, spread hate." Cuomo said of Trump: "He again is releasing a cancer into the body politic of America, because when you start to demonize differences, when you start to unleash hate, when you fan the flames of racism and division, you can create a fire that is out of control." The White House did not immediately respond for comment. A representative for New York State GOP Chairman Ed Cox did not immediately respond to a request for comment.